They sure do! One of those that disagreed with you has spammed (or trolled) the crap out of me on YT disagreeing with just about everything! A bunch of 'em seem to show up over on Steam as well. A couple folks there that do not care for it, usually let them know real quick they're not welcome, then make quick work of them and sweep 'em out. There was a whole AI discussion there a while back, many posted their positive experiences, settings, videos of great AI battles yet, not one of the complainers could put up. No surprise it turns up everywhere. Sometimes get the feeling they don't want help, they only want to complain. Oh well. I tried a 10 lap race w/AI at 120%. I could keep up. I ran a 1m28.10s. The AI run 1m27s range and are very competitive. They push in the corners both when chasing and defending. It was fun. In order to drive clean by the time you setup to make passes, they spread out and become harder to catch. It is one of the small number of cars I've seen where 99-100% isn't enough. Lap times are meaningful though. If lap times are the same but my AI is fine and somebody else's is acting crazy, it's likely a setting. If someone is an alien and simply out drives the AI that's different. The settings I typically use are Damage Multiplier 100%, AI Strength 99-100%, AI Aggression 29%, AI Limiter 0 Some people crank this up thinking 100% means the most difficult. It should be left at 0%. Some mods may behave strange with AI Strength over 100% but it seems most weird behavior comes from setting the aggression settings too high which is around 50% or more it seems. I most often use base setups as well. No assists either. Even when a car employs it in the real world, I'll often turn off the setting if possible. These things could also affect lap times making things easier. rF2 AI is as good, possibly slightly better than AMS and better than most of the other stuff around. * Curious to know what was 'Disagreed' with? I find it interesting that somebody just disagrees when there are over one dozen points made. I disagreed with the rF2 AI being slightly better than AMS. The way they corner leads to poorer racing. Why? Because with AMS's AI and in real life, drivers progressively increase throttle around corners as they are approaching the exit. In rF2 the AI pump the throttle on and off round corners, meaning that on corner exit they lose ground to the car in front and don't pass like they do in AMS. Take Spa 66, when I last played rF2 a year ago the AI still didn't slipstream on the straights, 6(?) years later.. I'm not sure if the AI has been touched.. I have noticed that with AMS,the race is very clean, the AI fight each others but there is not AI crash or yellow flag. You must run qualy if you want to race Ai in rF2! Because the Ai have different skill levels and if the slowest guy is in first and fastest in last it will be carnage as they try to sort themselves out! Qualifying will get the Ai in their correct positions for a clean race! Just set qualy to 15 minutes and press Ctrl x to speed it up and don't qualify yourself so you can be last! IMO it's best to get the Ai to a level that it's really hard to pass them and you can have battles for position instead of just an overtaking drive, if i wanted to just start last and finish first by first lap I'd drive GTS! Race tip: don't pass any cars for the first lap or at least the first 4 corners to let the Ai sort out the places! This tip is for all Sims also! Is there a timeline when the Reiza DLC will be patched to address some of the issues like the balance between the different engines of the AJR and the Honda Turbo? Learned something new. Interesting. Going to try this for sure. Nice explanation about AI and importance of qualifying round. 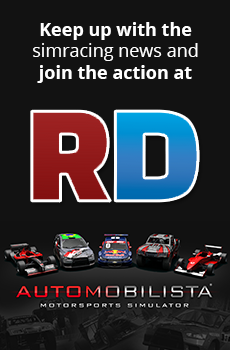 It should be pinned somewhere for newcomers if it's not already, cause someone just discovering Automobilista for surely already played a lot of the GTS and similar titles long time ago and is probably not going back. Valid point. For many it's an immersion issue and not as much as a race issue as they AI still run quite well for many. Others have other experiences. Those seem to be more frequent with GTE/GT3 type cars. I have a F1-75 race in Mexico that I still watch because it was that fun. The AI against each other and me with them and vice versa. The behaviour of Finish and Skip Session were tweaked in AMS 1.4.8 to address that. Skip session takes the current standings as they are when the button is press which I believe was the behaviour of Finish Session previously. Choosing Finish Session now triggers time accelerated simulation of the rest of the session allowing the ai to get their laps in and set representative times. The behaviour of of Finish and Skip Session were tweaked in AMS 1.4.8 to address that. Skip session takes the current standings as they are when the button is press which I believe was the behaviour of Finish Session previously. Choosing Finish Session now triggers time accelerated simulation of the rest of the session allowing the ai to get their laps in and set representative times. My explanation was for rF2 mainly but I thought it applied to AMS also. But if i do one lap and hit skip that isn't really long enough to get an accurate simulation for the Ai is it? We are off topic already but good to know. This is with the RF2 version. 1st bug. I have had member report after start finish line and the fast sweeping right hand bend before the sharp left there is a dark patch and sometimes when hitting this the car spins as if it's on ice. I have yet to replicate this myself however. 2nd bug. When driving the AJR at Imola 1972 every time you click "Race" and it puts you in the car you get rear defuser damage straight away. I even tried raising the ride height to max but still the same. AI always crash in the first lap (the first corner and the corner with 'Imola' on the ground on the left) and there is a yellow flag, impossible to have a clean race, even with a qualify session or without. AI is very clean, it's a pure race, there is no yellow flag or crash with the AI, even with a quick race without qualify session. AI always crash and there is a yellow flag, impossible to have a clean race, even with a qualify session or without. My conclusion is rF2 AI is not better than AMS AI, I can say that the AI is far better in AMS, the race are very smooth in AMS, with rF2 I have a yellow flag in the first lap with an AI crash and I'm forced to play with "black flag only " for the rules or "no rules" if not my race is stopped and I can have the full yellow flag race issue (and I dont talk about the on/off brake ), Sebring doesn't have this issue, I can have a clean race....I wonder if the AIW doesn't need a fix, the AIW could be the issue. I LOVE so much AMS, it's more beauty than rF2, look at the sky, the birds, the trees end the grass, the colors ! And at the start of the race, you can hear the insects, the birds, there is some ambiant noise ! rF2 has a very beauty landscape, but the grass and trees seem a stepback, like I said, rF2 is not a giant improvement at all over AMS ! I almost didn't reply as I didn't want to derail he thread but yeah I agree @Renoista Can continue in AMS forum if you guys want to discuss it further. Not with Skip, use Finish instead. It will take a few moments to sim the session but the payback is worthwhile. The ai of rf2 is very good compared to the other sims. Clear the best imo. Reiza can perhaps fixes the issues you guys report? I'm looking forward to the turbo-simulation. How strong is that turbo of the Honda ajr engine? How much bar does it delivers? Another question: I would expect the 4cyl turbo as the lightest among the 4 engines. Isn't it because of the balancing, I.e. bop?